Lumonol Review (UPDATED 2019): Don't Buy Before You Read This! 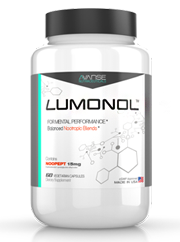 Lumonol is a mental performance boosting daily supplement that advertises itself as a nootropic aid. They say that is beneficial for users that are dealing with memory lapses, nervousness, and lack of focus. It is designed to increase users’ attention spans so that they can remain productive for longer. They also say that it can be useful for increasing brain function and processing speed, and even that it may be able to help users stop procrastinating. 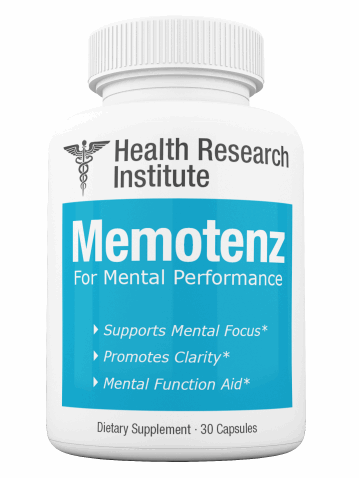 The single most effective nootropic supplement that our team has reviewed is Memotenz. It performed the best in their tests for recall, learning, thinking speed and processing accuracy. 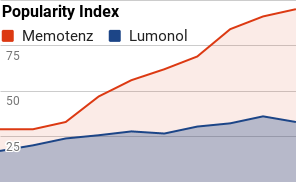 Click here to see more data about how Memotenz compares to the other top nootropic supplements on the market. Noopept: A recently synthesized form of molecule that is thought to potentially have nootropic effects on the brain. Noopept is the brand name of N-phenylacetyl-L-prolylglycine ethyl ester that is often incorrectly classified as a racetam or piracetam. There has been very little research done into the effects of noopept on humans since it was first developed in the 1990’s. Its manufacturers have claimed that it is capable of providing a cognitive boost and psychostimulatory effect, however there is no outside data that confirms these claims. The single outside study that has confirmed any effects of noopept has suggested only that it may be helpful for the rehabilitation of cerebral trauma. It did not find that noopept had any benefits for increased mental performance in otherwise healthy individuals. It is not known how safe noopept is for humans, as there are no long-term studies about its use, especially on a regular, prolonged basis. There have been no reports of side effects at this time. Hordenine: A protoalkaloid compound that is possibly a stimulant, however there is not enough data to verify this claim. There have been no human studies of hordenine, however it was used in a serum taken by horses that may have had an adrenergic effect. Hordenine has since been isolated as a part of barley, bitter orange, some cacti, and plants in the galanthus genera. It is chemically known as N-dimethyltyramine and may be somewhat related to the amino acid L-tyrosine. The horses in the study showed increases in adrenaline reuptake and effects like the doubling of their heart and respiratory rates. It is not known if this level of stimulation would be safe for humans. There is very little data about its safety currently, although WebMD calls it possibly unsafe to take by mouth. The documented effects of hordenine are increased heart rate and rises in blood pressure, which would make it dangerous to pair with other stimulants, or for any individuals with a history of heart or blood pressure issues. Guarana: A plant originally cultivated in South America whose seeds are high in caffeine. Guarana has been used by the native Amazonians for centuries to brew a stimulant tea that they also claim has medicinal or therapeutic value. There are no nootropic benefits to guarana. The caffeine in it is a stimulant that can sometimes have effects similar to a nootropic agent, however those benefits are mostly seen in fatigued individuals. It is difficult to analyze how much caffeine is in Lumonol because they do not provide precise measurements on their ingredients panel, and because the potency of guarana itself varies widely. Caffeine is not recommended as an additive for nootropic supplements. While the drug has a reputation as a study aid and productivity enhancer, most of those benefits are exaggerated and caffeine can even be counter-productive for performance in some cases. Yes, it is good at helping fatigued individuals stay focused, alert, and thinking quickly; however people with normal energy levels will often see the opposite effects. People can become over-stimulated and start to lose focus and have difficulty concentrating. This can be proceeded by an acute decline in energy levels and cognitive function when the caffeine is processed through the body. Furthermore, it can be chemically addictive and it is very easy for users to develop a tolerance to it, necessitating more and more caffeine consumption in order to get the same results. It is not one of our experts’ recommended supplement ingredients. Click here to see our team’s rankings of the top ten nootropic supplements on the market today. 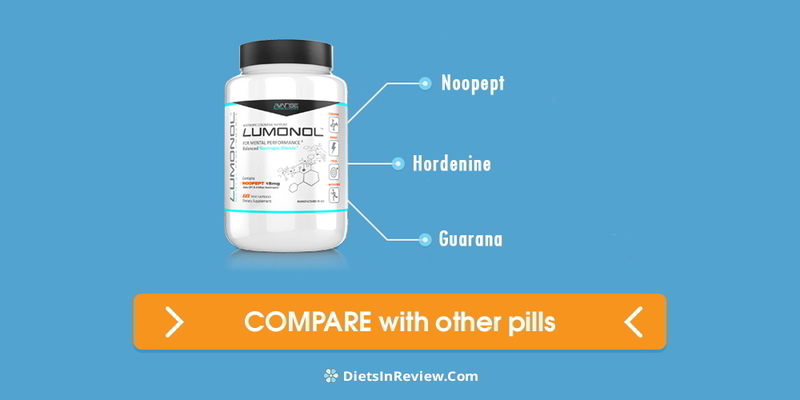 Lumonol uses a very unique combination of ingredients, however that is not necessarily a good thing. There is very little data about the actual effects of two of its main ingredients, and the data about the third is not positive. Neither hordenine nor noopept has enough supportive data that our experts are comfortable recommending either supplement at this time. Hordenine specifically seems dangerous for some users, especially when combined with extra caffeine as it is in Lumonol. Caffeine in general is not an ingredient that our team recommends in nootropic products. It is not effective long term, and it can have effects that are directly counter to the purposes that most people ingest them for. Caffeine should be used infrequently as a way to counter fatigue and should not be considered an acceptable substitute for genuine nootropics. Follow this link to see more information about how to find the nootropic supplement that is going to be the most beneficial for your mental performance. Lumonol’s directions state that users should take two caps per day, so each bottle is approximately a one-month supply. This is somewhat above average for prices of this nature, especially for one with so limited an ingredients blend. To see the best nootropic supplements on the market today for improving your memory and thinking abilities, click here. Phone Number: Neither Avanse nor Lumonol provides a phone number. Address: Neither Avanse nor Lumonol provides a physical address. There is no evidence that Avanse has been contacted by the FDA or the FTC regarding any potential violations. Readers should note that the FDA has issued warnings about the product Luminol, however that is a totally different organization entirely. For more data about the best ways to optimize your brain function and maximize mental performance, follow this link. The frequency of customers experiencing unpleasant side effects was very high. There were almost no accounts found online of customers that enjoyed their experiences or felt like Lumonol was an effective product. Click on this link to gain access to the most comprehensive database of reviews for nootropic supplements found anywhere online. Conclusion – Does Lumonol Work? Lumonol uses an ingredients blend that is not considered to be effective by our team of experts, and may not even be safe for some users that are sensitive to extreme stimulation. Our team does not recommend any nootropic product that contains caffeine, and they would need to see more concrete data about both noopept and hordenine before they were comfortable recommending either one of those additives either. In addition to their ingredients blend being highly suspect, Lumonol also has a bad track record with their former customers, and the company itself does not have any kind of history of reliability. There are no reasons that could be used to justify recommending this product to our readers. The product that our team likes to recommend to our readers is Memotenz. They are happy suggesting it due to its record of successfully improving the mental performance of the vast majority of its users. Memotenz users have seen dramatic spikes in energy levels, mental performance, and memory function. 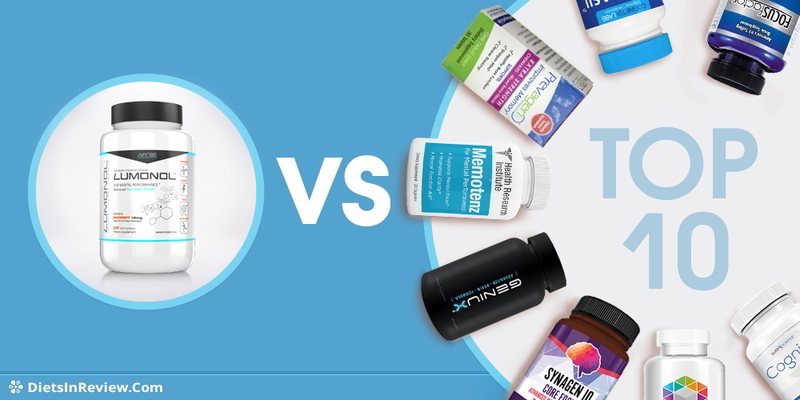 Click here to read our team’s complete collection of reviews for Memotenz and the other leading brands of nootropic supplements. I got 3 bottles of this and it feels like my head is going to blow up, can i return 2 of them for a refund?